Colony Specialty Insurance, liability. State Fund, workers comp. 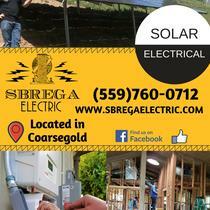 Family owned and operated solar business dedicated to quality and customer service. Your solar and battery back-up specialists! Our team has years of full time experience installing residential and commercial solar systems in and around the Fresno area. 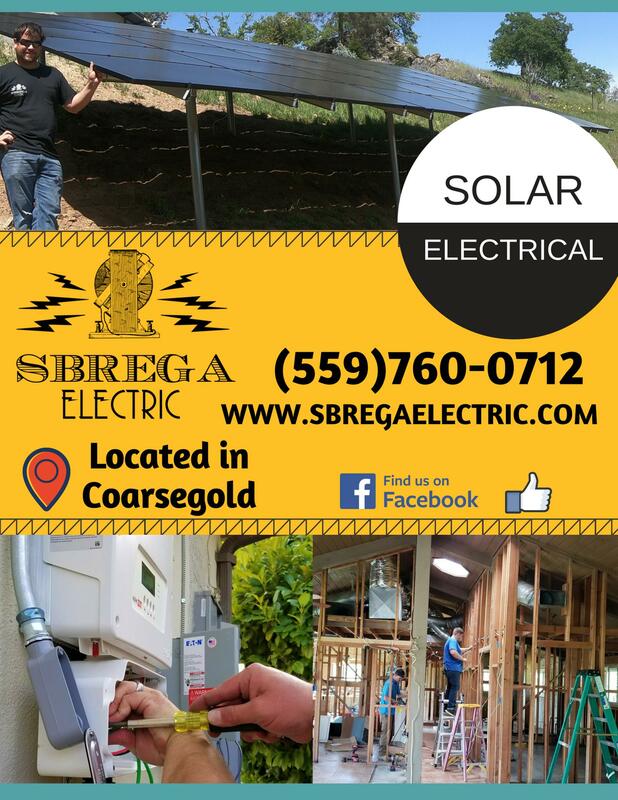 Before starting Sbrega Electric, the owner accomplished over 2,000 troubleshooting service calls over a two year period, mostly solar electric. We are confident that our business will prove successful for many years to come as a result of these service calls. Every crew member on our solar install team has over 5 years experience as a professional installer. Our troubleshooting electricians have over fifteen years experience each. When you hire an electrician to work on your property, it's good to know they have served years in the electrical industry. And if people are drilling holes in your roof, hopefully it's not their first day! With years experience in the Solar / Electrical Industry, Thomas Sbrega decided to apply for a C-10 License and become a California Electrical Contractor. The unique properties of Sbrega Electric derive from this experience. Installations performed by the owner prior to starting the business exceed 300 projects in Fresno CA and the surrounding area. Several hundreds of site surveys and over 2,000 successful troubleshooting service calls later, and a separate enterprise was bound to be born.